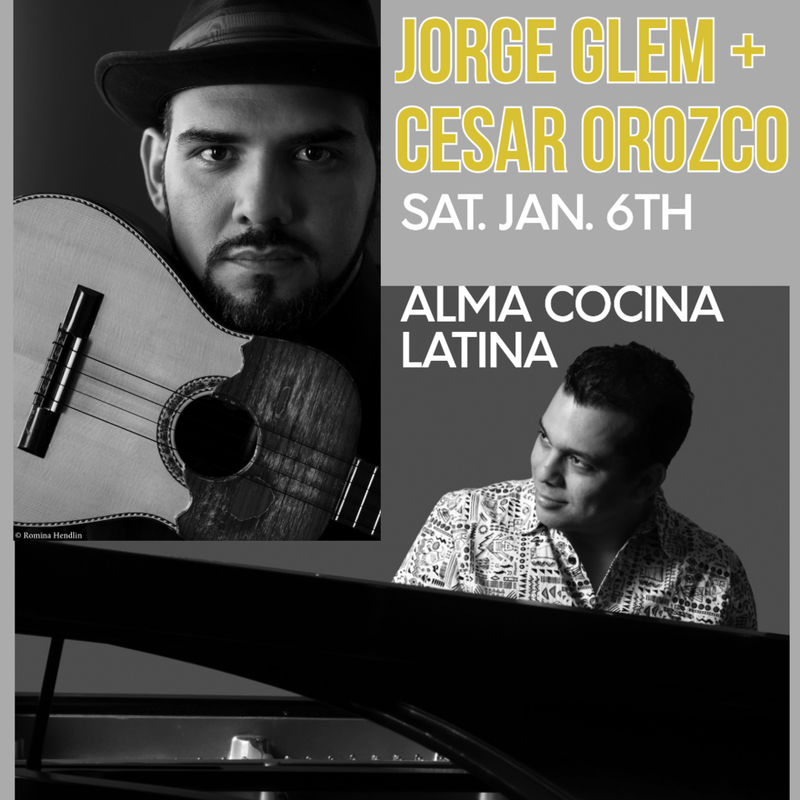 Alma Cocina Latina celebrates the start of 2018 with an evening of music and food on Saturday, January 6th! Latin Grammy winner, Jorge Glem, offers a special concert with prolific Cuban/ Venezuelan Pianist, Cesar Orozco. Both recognized musicians will perform a special repertoire, fusing and showing the infinite possibilities of their instruments: The Cuatro and Piano! Music from 6:30 PM - 9:30 PM. It will also set the tone (ever so lively) for 2018, instilling in your veins a rhythm you will want to carry throughout the 12 months to come! All proceeds will go directly to the musicians. There is PLENTY of free parking available at the Can Company (indoor & outdoor) with 24 hour security.